You’ve just been asked to teach a class of highly motivated business students. The only problem is they want to prepare for BULATS. So what is BULATS? And how can you prepare your students for it? In this article, we’re going to look at the BULATS Standard test, the assessment that most candidates take. In a future article we’ll look at two other types of BULATS test, the Speaking Test and the Writing Test. The computer test is auto-adaptive which means that the program selects questions based on the previous answers. This means that candidates can take the test side by side without any risk of cheating. Also, time isn’t wasted on questions which are too easy or too difficult. Since 1997 when BULATS Standard test was launched, there have been several developments. Probably the most important was the introduction of the computer-based version of the test in 2000. Initially, this was via CD-ROM with a software installation but this changed in 2008 when on-line testing became available. In theory, a computer based test can be taken just about anywhere by paying for a token serial number which is used at the start of the test. However, to ensure exam conditions are maintained, a candidate will usually have to take the test at an approved test centre or specified location e.g. a company HR department or a recruitment office.BULATS has always been available in four languages (English, French, German and Spanish) but this will change in 2017 when it will become an English only test. 2017 will also see the end of the paper based tests. Before we look at how to get ready for the test, consider this question – does your student really need to prepare for BULATS? Unlike language exams which presuppose that candidates have months or even years of study under their belts, BULATS can be taken without any preparation. In fact, some colleges and businesses use BULATS as part of placement processes in order to select appropriate training or language lessons. On the other hand in many parts of the world a good BULATS result will help land a job, gain a place at university or achieve career promotion. No wonder so many who request help for BULATS are highly motivated! A Business English course that follows a course book or Scheme of Work, with a BULATS test at the end. Elements of the test can be incorporated into lessons by focussing on some of the micro-skills needed and by practising specific question types in class. 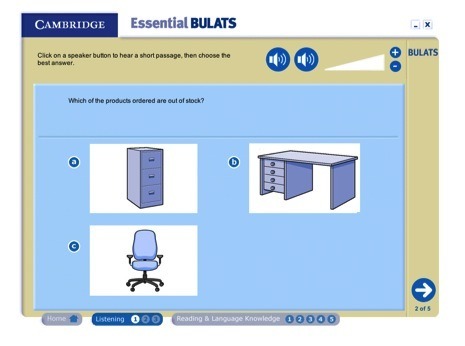 In fact, some teaching materials that have these features built into them, such as the BULATS-orientated ‘Business Benchmark’ series (produced by Cambridge University Press). Intensive test preparation for students who are not trying to improve their overall level of English but need to get ready for the BULATS test. Here, students need lots of practice along with feedback and suggestions on improvements. Several books are available to facilitate this including ‘Success with BULATS’ (Summertown Publishing) and ‘Essential BULATS’ (CUP). A lot of information is also available on the official BULATS website along with a full practice test. open the possibility of organising another test later so that students could see their progression. Whichever type of student you have, they need to be familiar with the language of typical work situations such as making appointments or dealing with complaints. This is particularly important for pre-work students who may be more familiar with general topics. As the BULATS test (both computer-based and paper-based) is divided into separate Listening and Reading parts, let’s see how to prepare for these sections separately. The question types in this section include texts with multiple choice questions that test reading comprehension as well as gap fill tasks which can be completed by choosing multiple choice options or by writing answers. Students need to practice the typical skills used in reading tasks such as skimming for main ideas, scanning to locate key information and guessing the meaning of words from their context. In the workplace, many students have been out of the world of education for some time so they may have forgotten basic exam techniques. For example, some may hesitate to select a multiple choice answer if they are not completely sure of the solution and might prefer to leave the question blank. Others may need reassuring that it is perfectly acceptable to arrive at the correct answer by eliminating the incorrect possibilities rather than by simply knowing the correct response. Again, lots of practice along with positive feedback is helpful. looks at the multiple choice options to find the corresponding answer. By doing this, candidates can avoid being misled by ‘red herring’ options. This also means that they don’t become overloaded with the amount of information that they need consider. This section includes both short and long listening tasks with different types of multiple choice answers. In both the paper and computer based tests, the candidate hears each audio twice, so there is opportunity both to find answers and then verify them. As with the Reading section (discussed above), various micro-skills are tested in this section including listening for gist and listening for detail. Again, getting lots of practice is the key to being able to tackle this section successfully. Some questions are accompanied by images so students should be familiar with the appearance of work related equipment such as filing cabinets as well as being able to interpret basic diagrams such as pie charts or bar graphs. For the shorter gap fill tasks, help your students to anticipate the type of word that is needed for the answer. For example, is the missing word likely to be a noun, a verb or an adjective? Is it a number, a time or the name of a company? This makes it easier to identify the right information as they listen. Along with short listening tasks, there are also longer audios that can last up to four minutes. Listening intently for that length of time can be challenging so listening tasks in class need to be gradually extended until students are able to sustain their listening concentration appropriately. As with the longer reading comprehension exercises, it is a good idea to only look at the questions before the first listening rather than considering all the multiple choice options. After the audio has played the first time, candidates can then look at the multiple choice options and choose according to their understanding. What about grammar and vocabulary? What level of grammar should you teach? The answer depends on two things; the initial level of the student (using information from a placement test) and their objectives. For example, a candidate whose pre-course test shows their level as B1 will need to learn the language that is typical of B2 level English. This might include items such as phrasal verbs, conditionals or relative clauses, depending on what they already know. The Council of Europe website provides plenty of information about the language features of the six levels (from A1 to C2). As mentioned above, candidates need to be familiar with a variety of business and work related topics (a useful list can be found here) so the vocabulary associated with these situations needs to be explored as part of BULATS preparation. This can be particularly challenging for in-work students as they need to understand how words and terms are used generally. Every company has its own ‘language’, its own expressions which may be different to the vocabulary in the BULATS test. For example, a Human Resources department in one company might be known as a Personnel Office, a Staffing Office or something completely different in another. So if a candidate hears that an item is ‘out of stock’ in a listening question, will they understand the meaning if they are used to hearing their English speaking colleagues talking about something being ‘on re-order’ or having ‘nothing in the reserve’? In addition to incorporating business vocabulary into the lessons, don’t forget to encourage your students to read the business pages of English language newspapers or magazines, or point them in the direction of useful websites. While the vocabulary in the test may not be appropriate for every industry or profession, preparing for BULATS will help students become familiar with the way English is used in businesses around the world. A recent article on CNN.com revealed that, on average, Americans change jobs every four years. While situations vary across the world, this statistic shows that job hopping and career changes are the ‘new normal’. So a respectable BULATS result will equip your students to stand out from the crowd in the competitive job marketplace and give them the self-confidence they need to succeed! What is your experience of BULATS? How does it measure up against other tests? John J. Walker has worked as a Director of Studies, teacher and materials writer in France, Spain and the UK. With over twenty years of teaching experience specialising in Business English, he has a Tesol certificate and a Cambridge Delta diploma. 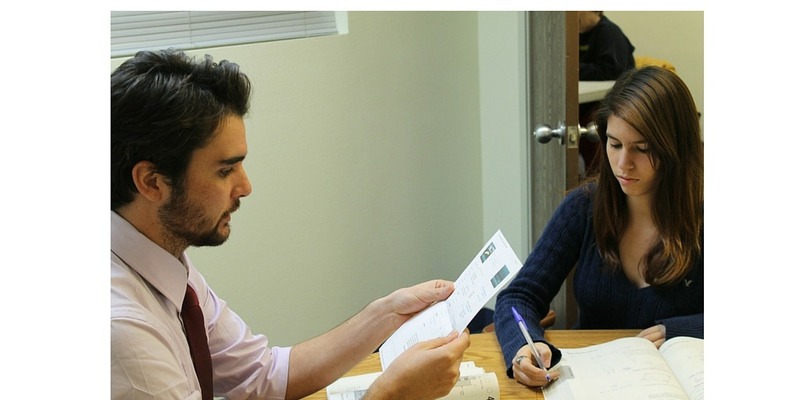 Previous articleShould ESL Exam Tutors Take the Test, Too?